Are you ready to begin your journey towards an ultra-local, healthy diet harvested from your own backyard? Maybe you have been gardening for years and just want some expert help troubleshooting your garden? People all over are waking up to realize just how broken our industrial food system really is and just how rewarding, delicious and healthy it is to grow your own. Working with Edible Eden begins with an initial consultation. The initial consultation usually takes between one and two hours. One of Edible Eden's skilled urban farmers will come to your home to perform a site assessment and discuss your growing goals, microclimates and opportunities. Whether you are an apartment dweller with an 8' x 10' balcony or getting started on a large in-ground, container or raised bed garden, whether your yard is shady, terrorized by deer, or on a steep slope; Edible Eden will identify growing opportunities, brainstorm ideas and share our expertise growing food organically in all sorts of conditions. This is a good time to ask questions about different ideas, the potential for various crops and maintenance or pest deterrent issues. After the initial consultation we follow up with an email detailing different options for your space with ball park estimates so you can decide how to move forward. Edible Eden offers permaculture style designs for spaces as small as a suburban backyard and as large as a village. Designs include a to-scale illustrated map, prose documents explaining the various components of the design, spreadsheets detailing materials, plants, quantities, estimated budgets and timelines to implementation. Working with Edible Eden on a design is a process of several weeks and ultimately generates a detailed road map to creating the outdoor space of your dreams. We also offer garden plans using the same skills organic farmers use to maximize their growing space for existing or new garden space. 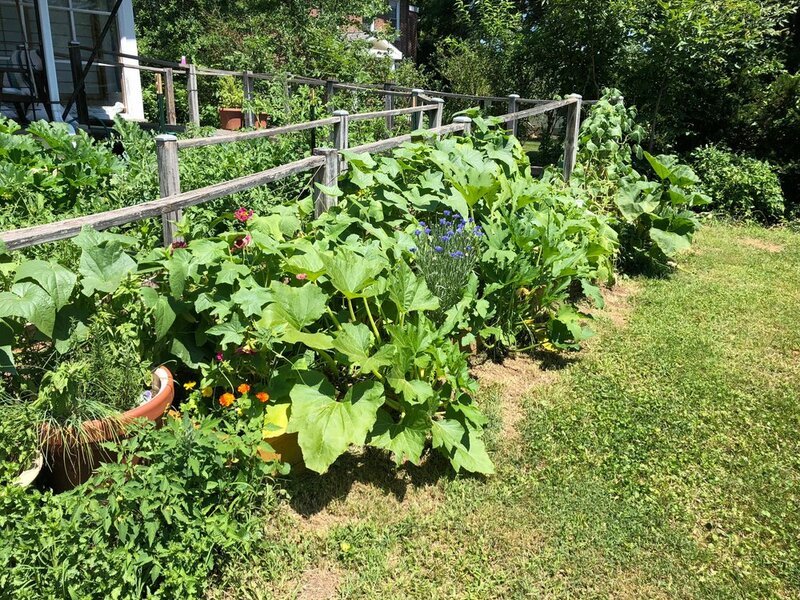 Regardless of the size of your garden, our plans lay out a full growing season of successions and rotations so that you can produce more food from your space than you thought possible.